Deb's Cup of Tea: Excuse Me? 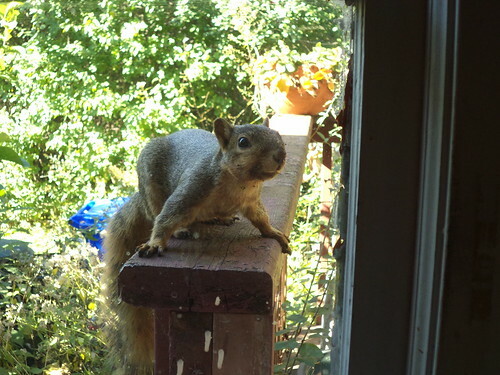 I was in the office, working on some guild stuff when I heard a noise at the window. He's rather bold. He just sat there looking at me. He was very interested in what I was doing. But as I started taking photos, he decided he'd had enough of posing. There's going to be a major change in the yard, perhaps as early as this month. I struggled with how much change to make because the yard is alive with wildlife. But I've figured out a way to keep the squirrels and the birds somewhat happy. 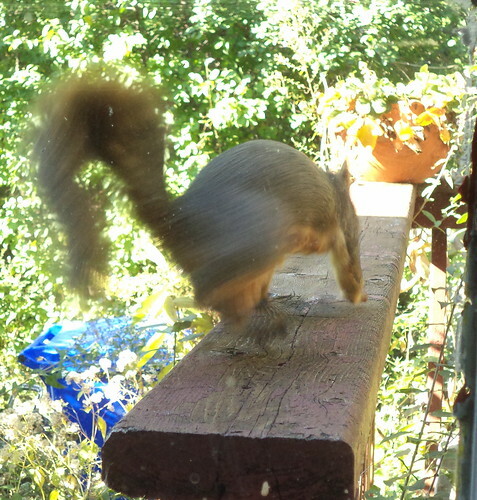 I keep forgetting to buy peanuts in the shell for the squirrels. It's so cute to watch them open the shells to get at the nut. There is a feeder that mounts to a deck railing. If I have some extra funds after coming back from BlizzCon, I could get that and put it right here by the window. 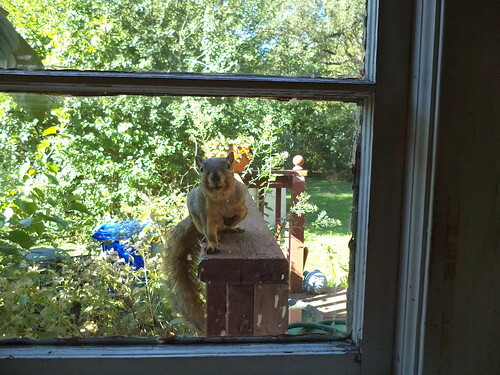 I know the girls would like Squirrel TV.